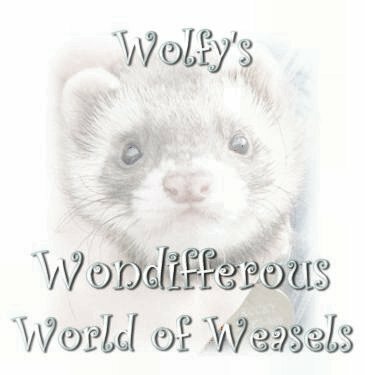 Wolfy's Wondifferous World of Weasels...Ferrets, that is!! as I am a multifaceted person. My interests are very diverse. as well as some personal information for you. as I live to howl and laugh. 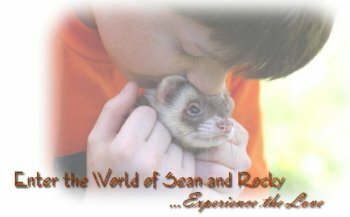 between my autistic son, Sean and his ferret, Rocky. I will also be putting up more pics, as I am a real shutter bug. as you will need all of the above to visit. or new pages all together. or if I have any misinformation to correct it immediately. 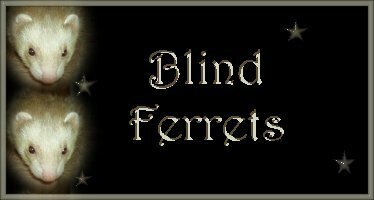 Money made from the sale of these goes to the ferret's medical care." 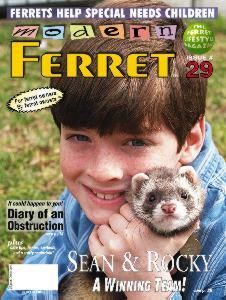 "See what the coolest ferret is up to! and Join his Fan Klub to aid 'Support Our Shelters'..."SOS"
"This is a must have! This book is comprehensive, insightful, and a great resource. 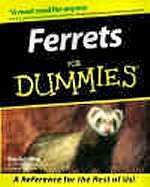 Best of all it's written in a fun easy to read format." A special Thank You to him for his help!!!...HUGS!! 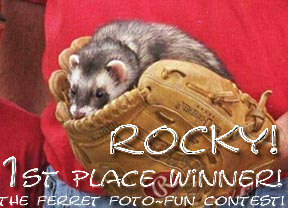 No Date Sean and Rocky Slide Show. 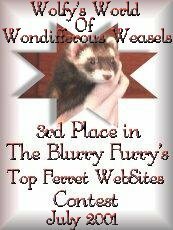 it is extremely important to any and ALL ferret lovers!!! are from A.J. Animated Graphics. 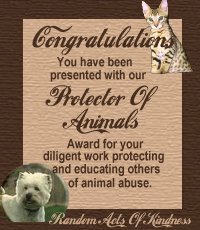 Thank you, Jack & Joanie Smith, who found a tiny white being dodging cars. Took him in. and named him Beethoven. Mr B was deaf. 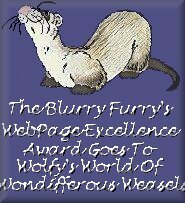 Jack found my site while looking for information about deaf ferrets, but found that it was shut down much of the time by Geocities. So he wrote me, a total stranger to him, and offered me space on his domain. We've been friends ever since. His wife and I, too. Because of his little Beethoven he found me and also helped the site. Thank you, Jack & Joanie, for your generosity, for making a home for my site when it was needed. And thank you for being gracious enough to let it go when necessary. 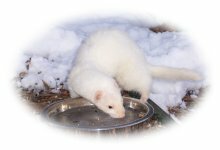 Part of this site will always be in memory of Beethoven, who went to the Rainbow Bridge in January, 2006.